It is our pleasure to announce the Wheels2Heal 2018 Call for Sponsorship. Wheels2Heal 2018 will take place at the Art & Speed Classic Car Gallery in Collierville on April 21, 2018. 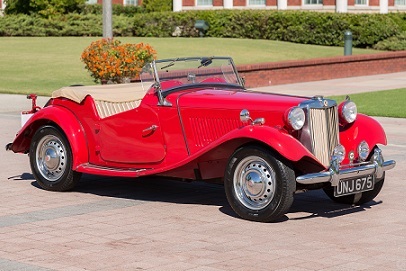 Created to raise awareness and support for Friends of Gilda’s Club Memphis, this late afternoon event will feature classic cars, live 50’s music by Sue and the Lenders, a silent auction, food, and beverages. The event is open to the public with a $30 advance registration fee or $35 at the door. Gilda’s Clubs across the US have been created in honor of comedian Gilda Radner - one of the original cast members of Saturday Night Live – who died from ovarian cancer in 1989 at the age of 42. Established as a 501c3 in 2016, Friends of Gilda’s Club Memphis is creating a place in our community where men, women, and children with any type of cancer, and their family and friends, may join with others to build social and emotional support as a supplement to medical care. Gilda’s Clubs offer FREE programs including support and networking groups, lectures and workshops, healthy lifestyle activities, referral services and social events in a non-medical, homelike setting. Wheels2Heal personal and business sponsorships demonstrate leadership and community engagement. Showcase your business and support to a unique blend of participants. USPS and email invitations will be sent to approximately 900 local contacts. Businesses and individuals will be encouraged to share event information with friends and associates. The event will be posted on facebook and promoted through a press release, flyers placed in supporting businesses, and local publicity opportunities. In addition to financial sponsorships, In-Kind Donations of food and beverages and silent auction items are greatly appreciated. Please reach out to your volunteer representative or contact Laurel@gildasclubmemphis.org for additional information. Thank you for your consideration and support.